If there is one universal constant, it’s that there is no one out there like Mastodon‘s Brent Hinds. Aside from writing some incredible sludge metal riffage, the frontman rocks a pretty gnarly face tattoo and just has a general aura of mystery about him. And recently, he released his new signature “Orange Terror” amp from Orange Amplification, and the interview above showcases him talking it up, more-or-less. It’s sort of hard to explain. Just see it for yourself and watch the magic of Dirty B. Hinds unfold. 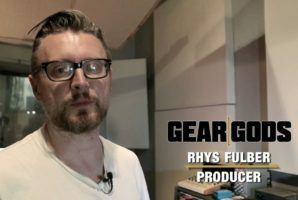 In case you wanted a more in-depth review of the amp, you can do so right here, courtesy of Gear Gods!